News Desk: Notes on Washington and the world. The Book Bench: Books, publishing, and the literary life. The Sporting Scene: Dispatches from the playing fields. Richard Brody on the movies. John Cassidy on economics, money, and more. Steve Coll on foreign affairs, defense, and journalism. Amy Davidson on war, sports, and everything in between. Hendrik Hertzberg on politics, mostly. Robert Mankoff on cartoons and humor. Susan Orlean on people, places, and things. George Packer on national and international politics. Alex Ross on classical music. James Surowiecki on business, the markets, and the economy. 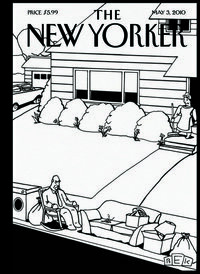 Back Issues: From The New Yorker archive. Now reading “Legend of a Suicide,” by David Vann. Cartoon Kit: Create your own cartoon; no drawing required. Put New Yorker covers back together. 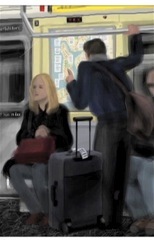 This week’s iPhone sketch by Jorge Colombo. 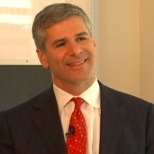 James Surowiecki speaks with Michael Mauboussin of Legg Mason Capital Management. Browse the complete archive using the cover gallery. Back from Beijing: Peter Hessler and Evan Osnos on living abroad and returning to America. The Political Scene: John Cassidy and James B. Stewart on Goldman Sachs, financial reform, and Obama. Madea Man: Hilton Als on the film and theatre empire of Tyler Perry. Beat Boat: Allen Ginsberg’s Tugboat Ride. A Shooting in Zambia: Jeffrey Goldberg looks at footage of an unsolved killing. A Chef in Istanbul: Elif Batuman shops for local produce with the Turkish chef Musa Dağdeviren. Big Toot: Burkhard Bilger narrates a selection of photos of the Smith tugboat family. Guinea After the Massacre: Jon Lee Anderson on Guinea and Moussa Dadis Camara. The Promise: Honoring iconic figures of the civil-rights era. Readings by Alex Ross and Joyce Carol Oates, and more events involving New Yorker contributors. Links to articles and Web-only features, in your inbox every Monday. A weekly note from the New Yorker's cartoon editor. 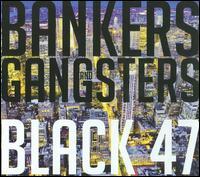 John Cassidy: Goldman Sachs and Wall Street reform. James Surowiecki: Why investors never learn. Jill Lepore: Who owns the American Revolution? John Lahr: Neil Simon’s comic empire. Cartoon Kit: View entries to the new contest. Caption Contest: Submit, vote, and see winning entries. Slide Show of cartoons from the current issue. Video: Ten-second animations of classic cartoons. See every page of the latest issue on Mondays. NewYorker books, art prints, and logo wear. Cartoon and cover art: prints, T-shirts, licensing, and other gifts. Subscribe to a weekly audio download of selected articles from the magazine. 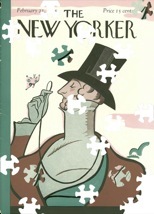 Download the new New Yorker animated-cartoon app. Plus podcasts, video, and audio issues at the iTunes music store.